McALLEN — As the days for the Scripps National Spelling Bee inched closer to becoming a reality, Veena Namboodiri was having mixed emotions before heading off to the east coast Sunday. Namboodiri, 13, always knew her stronger suit was spelling since childhood. Before reaching the national stage in Washington D. C., students began their journey in their own classroom, then be the frontrunner for their school, then move on to district, and eventually being a finalist in the regionals. 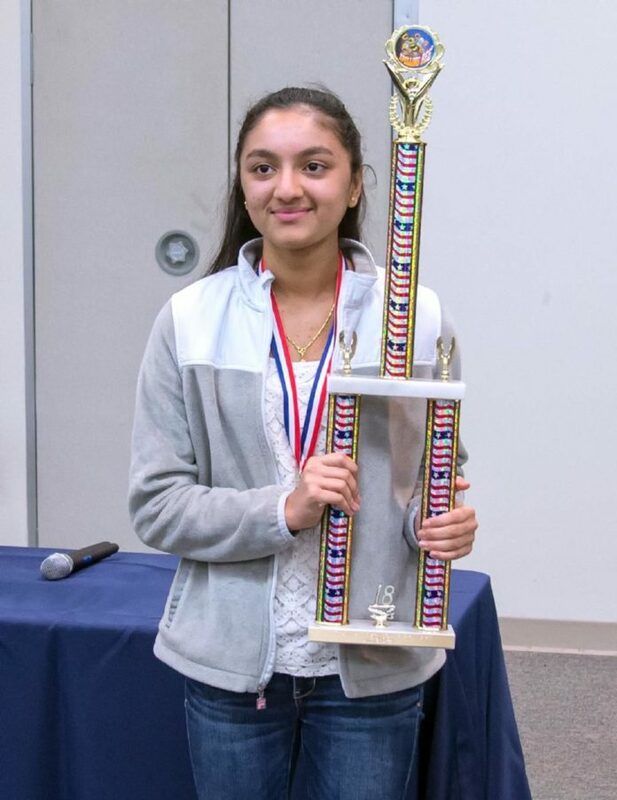 Namboodiri explained she was in a mental and emotional rollercoaster before winning the regional spelling bee, which took place in March at TSTC in Harlingen. Namboodiri will be one of 519 students from the United States to participate in the 2018 Scripps National Spelling Bee and will be representing the Rio Grande Valley on the national stage. As the Scripps National Spelling Bee will be going live this week, she will have the support of her family, who will be by her side as she takes the stage. South Texas Preparatory Academy in Edinburg will also be cheering on their student, and live-streaming the event in the school. During the spelling bee rounds, the questions that a contestant can ask regarding the word given to them include its definitions, use in a sentence, language of origin, part of speech and alternate pronunciation. Hari Namboodiri, Veena’s dad said he was nervous and excited when she won regionals, but is always very focused in what she wants. Hari also thanked AIM Media Texas for being a sponsor of the Rio Grande Valley Regional Spelling Bee and a supporter of his daughter, Veena by rooting her at the Scripps National Spelling Bee in Washington D.C.